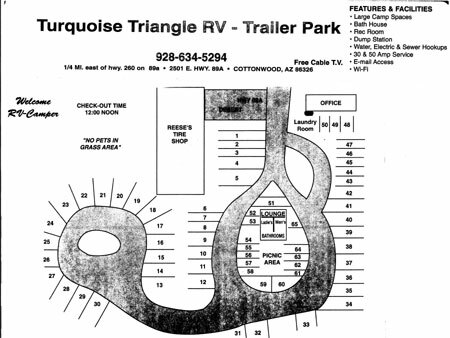 About Us Page of the Turquoise Triangle Trailer Park in Cottonwood, AZ. 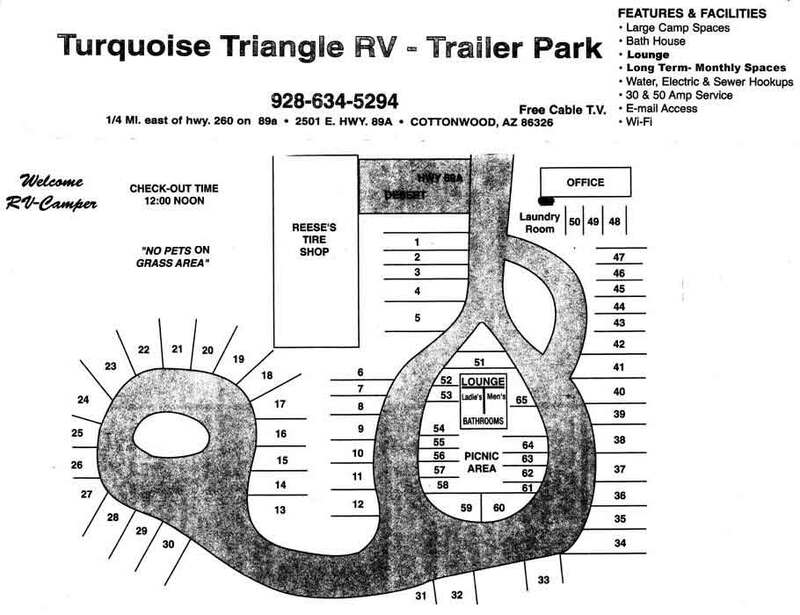 The Turquoise Triangle RV Park has been owned and operated by Reese and Mary Jo Dixon since 1999. 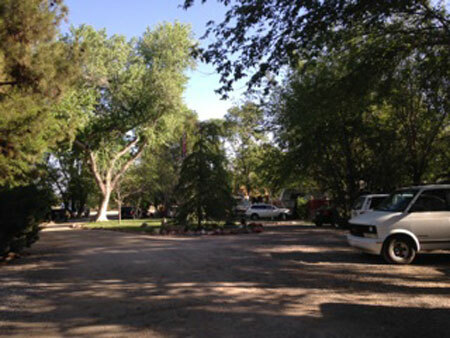 The trailer park is located next to their tire business that they, along with family members own and operate, established in 1980. Sue and Bobby Yakes are members of the extended family, and Sue works as manager of the trailer park. Sue has been working with the Reese family since 2004. As members of the Cottonwood Chamber of Commerce and the local Mingus Mauraders sports support group, they have been active in local sponsorships for years. They are listed in the Good Sam RV Travel Guide.